Weather permitting, custom departures may be available outside of our normal seasonal operations. Please contact us to make a booking. Das einzige Abenteuer seiner Art in den Kanadischen Rockeis. 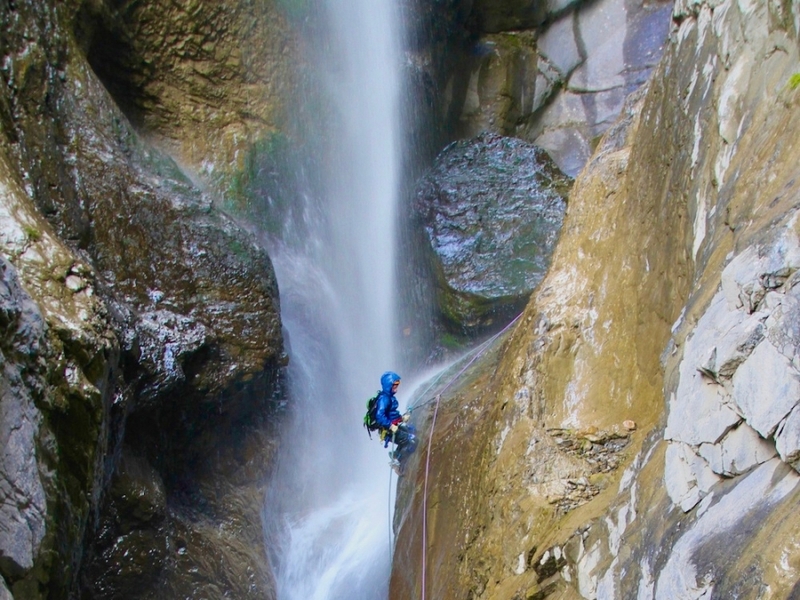 Unser Canyoning Trip bietet ihnen ein vollen Tage mit Abseilen, Wasserfällen, Pools und ein einzigartiges Rockies Erlebnis. 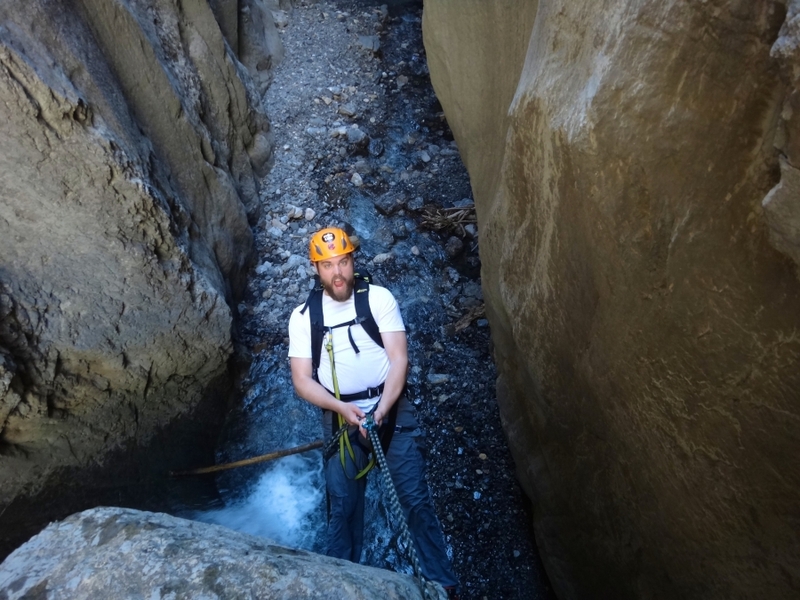 Ideal für Anfänger wie auch für Outdoor-Enthusiasten, unsere Guides helfen Ihnen mit den nötigen Kenntnissen diesen unglaubliche Canyon sicher herunter zu manövrieren. Due to the more technical nature of this trip we require all participants to be at least 15 years of age. 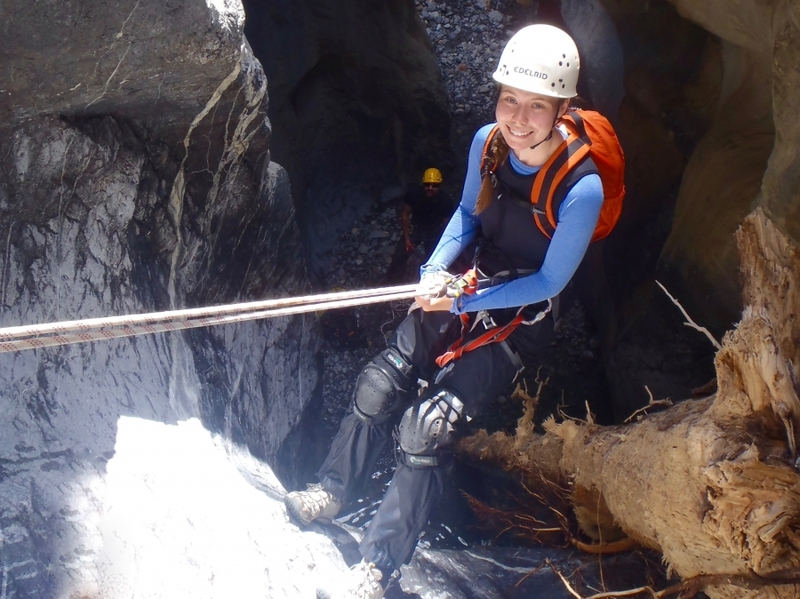 Participants do require previous rope or rappelling experience (rappel & rope safety clinic prior to trip can be organized upon request). Participants must be relatively comfortable with heights, water and swimming. 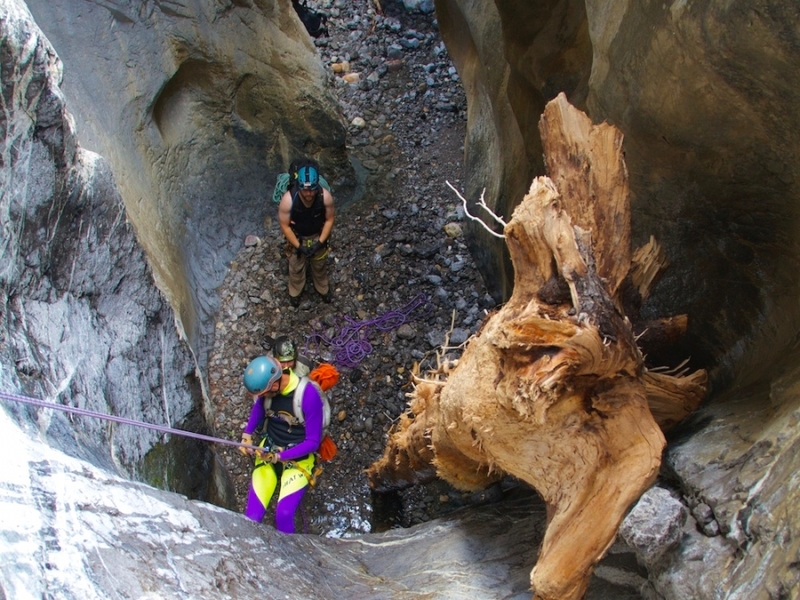 All the necessary technical equipment including wetsuits, guides, transportation in and out of the canyon as well as safety instructions and rappel clinic. 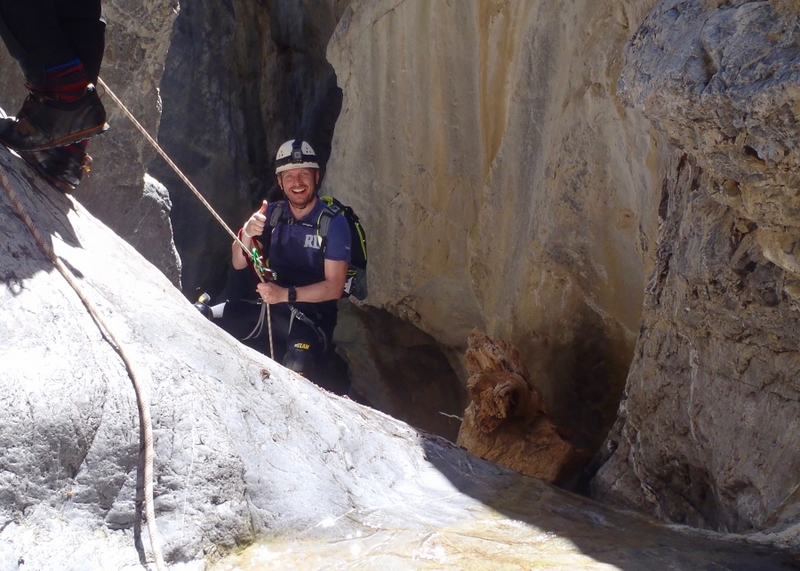 There are a total of 9 rappels, with the upper half of the canyon being the easier sections as well as being mostly dry. 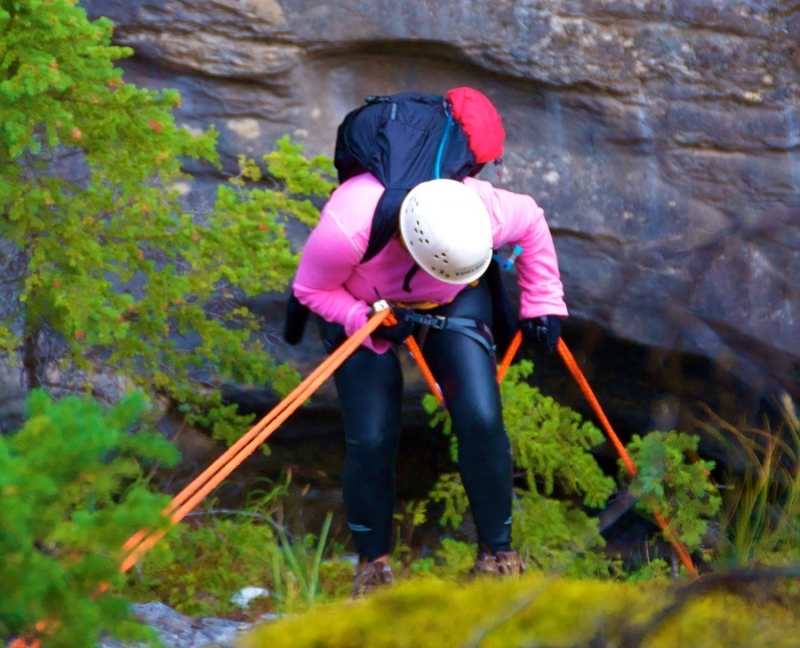 This gives everyone the opportunity to ease into the rappelling. 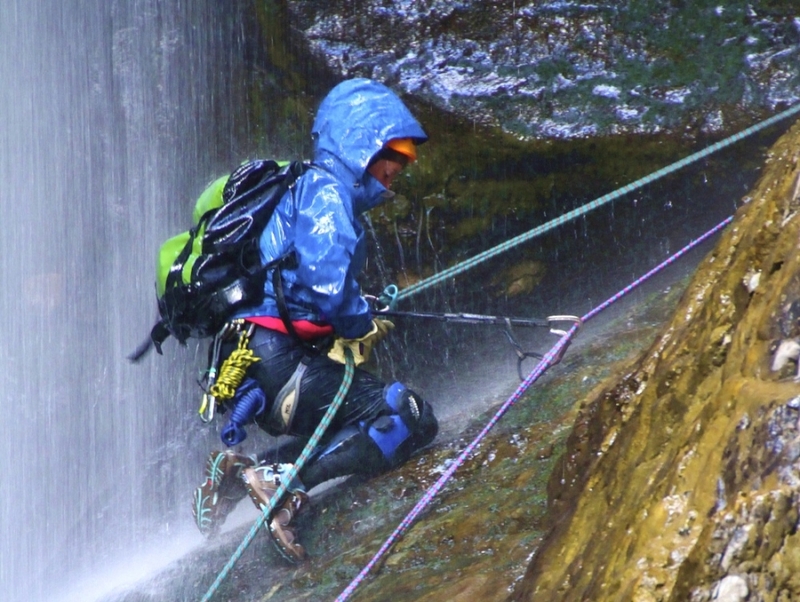 The last 2-3 Rappels are wet, with two direct exciting waterfall rappels. The canyon is just on the edge of Jasper national park and is accessed thru Brule Alberta (our meeting location) which is about 30 km west of Hinton. Attached is a map and driving directions of how to get there. There is cell service in Brule. We will meet at the Brule Community Hall parking lot where everyone can leave and park their car. 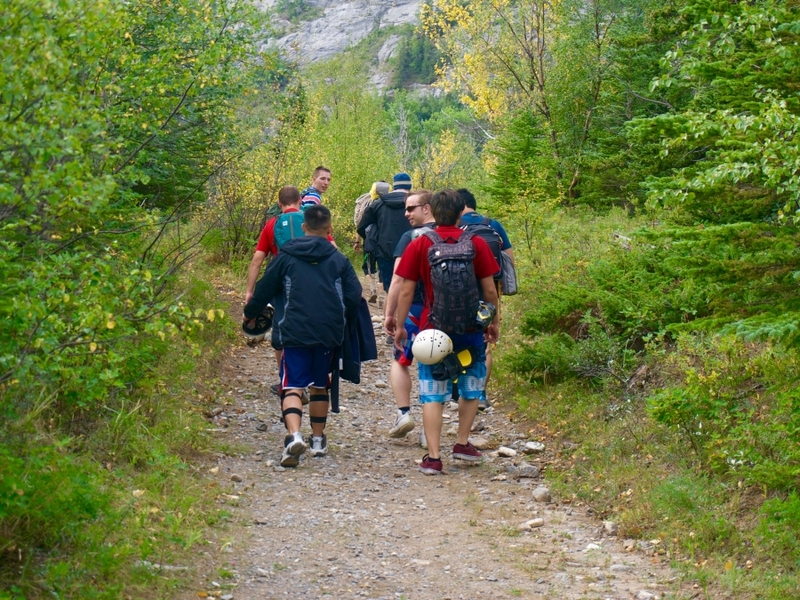 After we meet and pack up gear we will shuttle by van another approximately 8 km down a rough gravel road to the start of our hike. 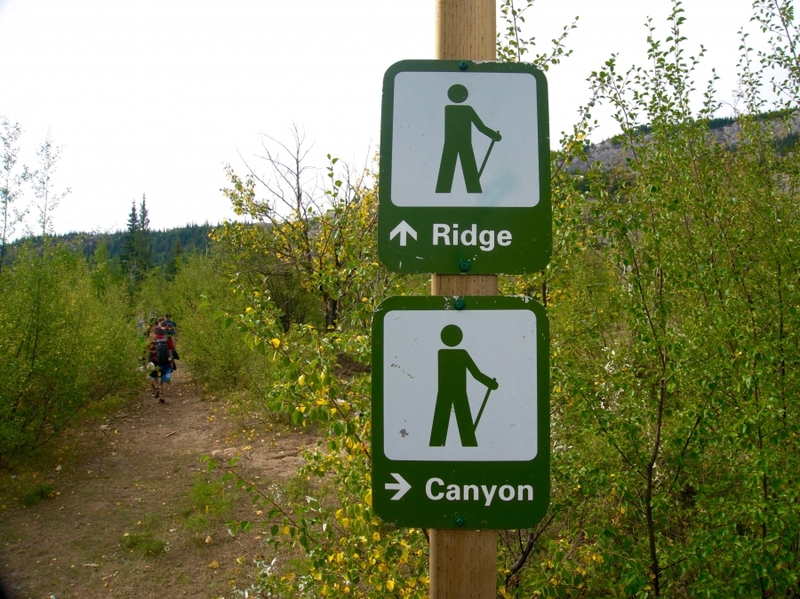 A 20 - 30 minute hike up the canyon ridge will bring us to the mouth of the canyon itself. 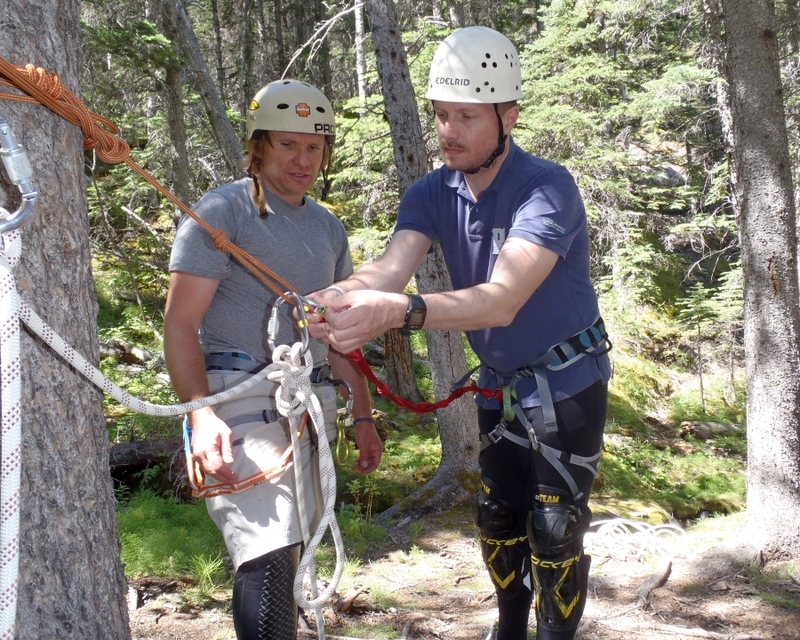 At the top we will change into the wet suits, gear up and go over rappelling procedures. 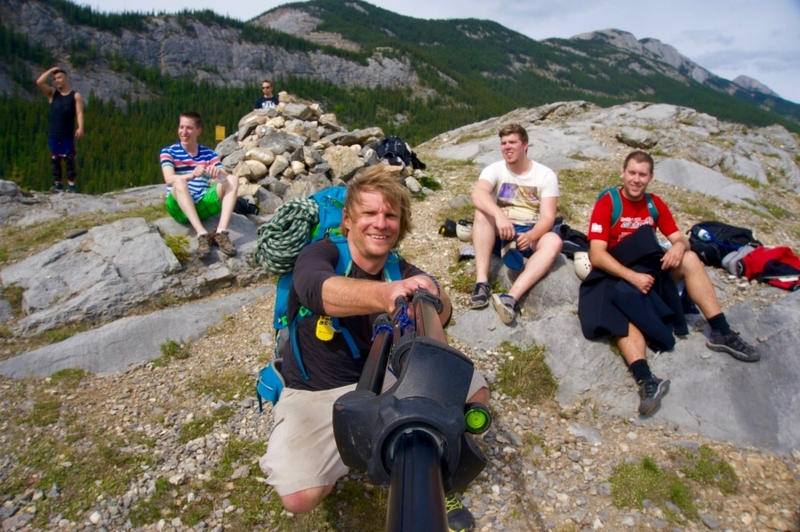 The whole trip should take 4 - 6 hours in total depending on the group size! We provide all the technical equipment including thick Wetsuit for this trip. It is good to bring a fleece layer and wool socks just to layer up in case you get cold. Do not bring cotton t-shirts which will not keep you warm when you are wet. If you are a paddler or a surfer, paddle or surf shirts (the neoprene ones) work great and are a good thing to bring. 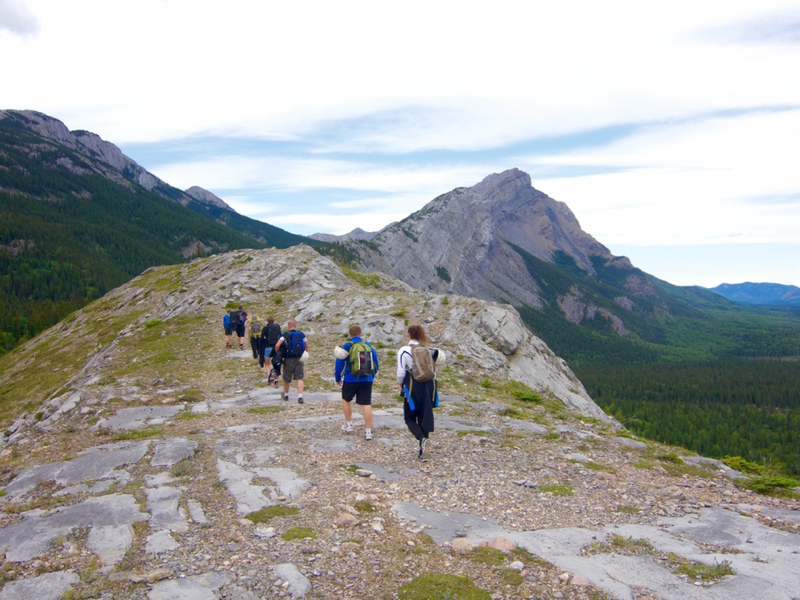 Sturdy runners or light hiking boots that can get wet works fine (no sandals or open toed shoes). 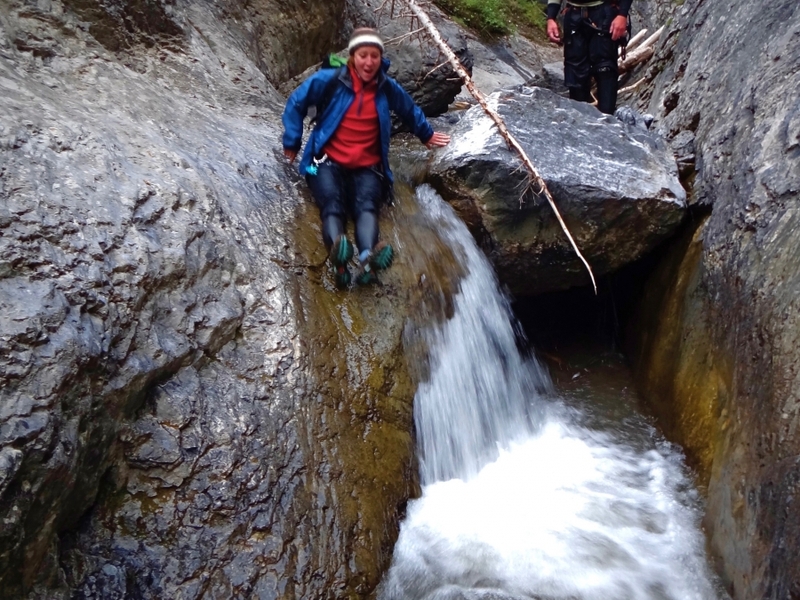 The top half of the canyon may be dry but the bottom half will be wet. The waterfall source remains cold throughout the whole year even on hot days. It is also important to bring a rain jacket or hardshell. A suggested equipment list is as follows. 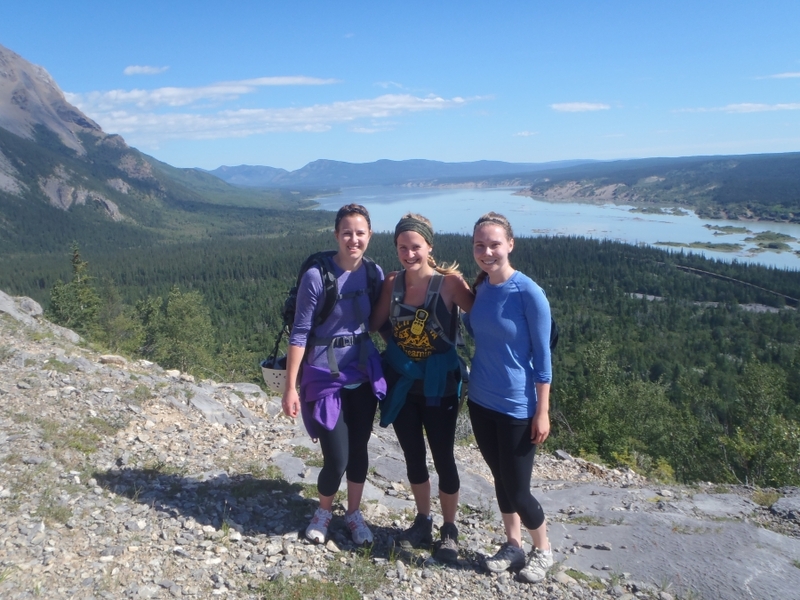 From Jasper: Drive approximately 70 km from Jasper east (towards Hinton and Edmonton) on Hwy 16 past the Jasper national Park gate to the turn off to Hwy 40 north about 5 km west of the town of Hinton. Turn off onto highway 40 north and drive for approximately 10 - 15 km. After a long down hill the signed turn off to Brule is just at the top of the hill after crossing the Athabasca River Bridge. Follow this paved and scenic road for another 15 km to the small hamlet of Brule itself. Once in Brule drive to the main and only major intersection in town. Turn right at the field and the Playground. The (white building) community hall is opposite of the town firehall (See attached Map). We will meet at 11:30am at the Brule Community Hall. (Please check the directions outlined below). It is a good idea to change into a bathing suit before arriving at the meeting point. 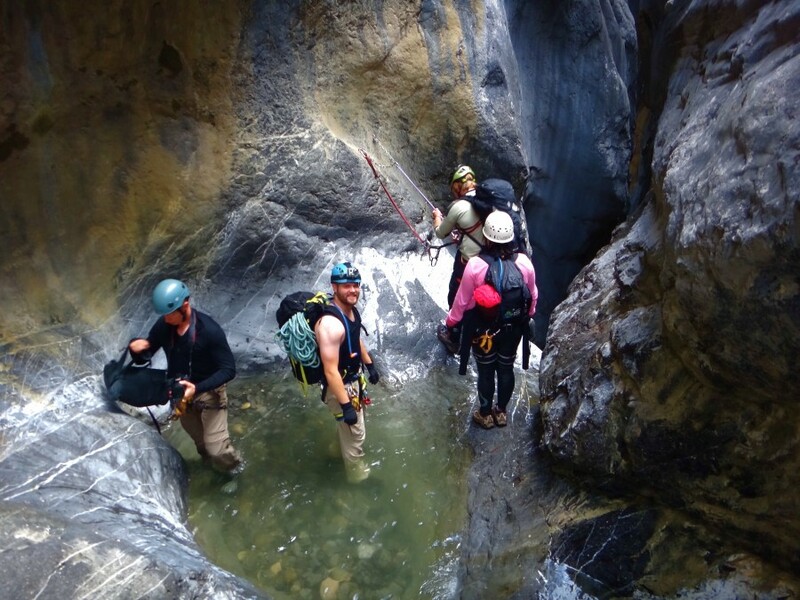 We will “suit up” and change into our wet suits before we rappel into the canyon which is after our short approach hike up the ridge. There are no changing facilities on sight. Please also keep in mind the staging area (where we meet and shuttle to the canyon) is a bit out in the boonies. 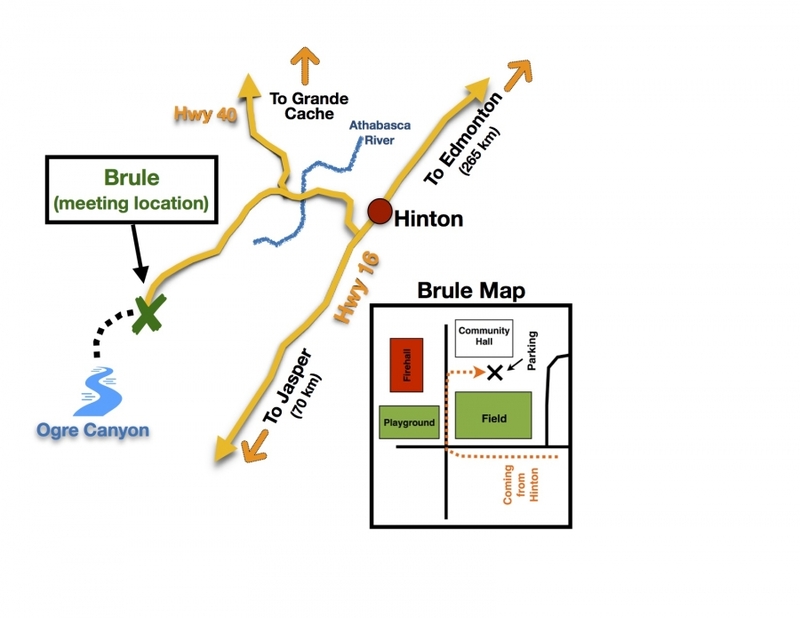 There are no services in Brule so if you require anything (drinks, bathroom, snacks) it is a good idea to make a pit stop in Hinton before coming out to Brule). There are only limited bathroom facilities on site! This trip may be subject to itinerary change or in an extreme case even possible cancellation due to unexpected water levels and/or weather conditions. We will try to accommodate trips accordingly. 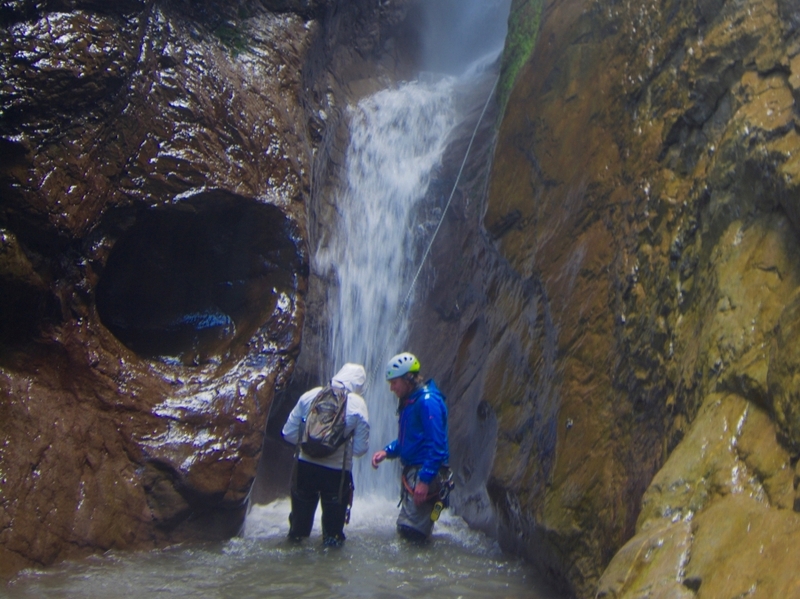 Our canyoning season usually runs between July to October. 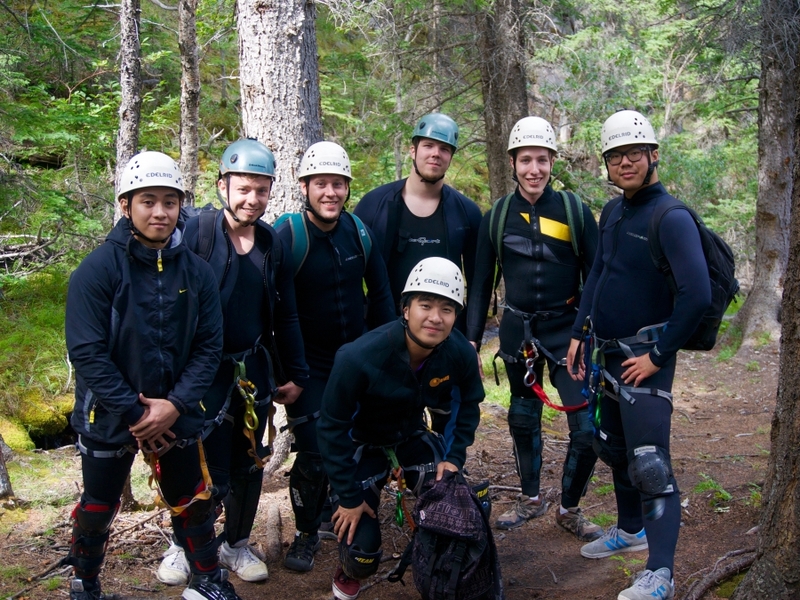 Bookings can be made directly through our website: http://www.bowvalleycanyoning.ca, or by phone. Please be ready to provide a credit card when booking by phone. You can call us, and we are normally available between the hours of 8am - 6pm Mountain standard Time. All prices are per person in Canadian dollars.